Over the holidays I spend much of my time hosting friends and family. 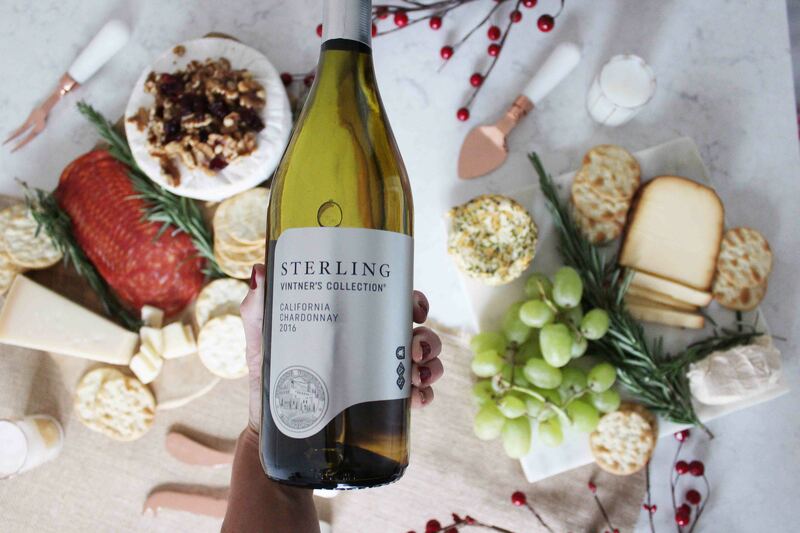 Sometimes I run out of ideas on what to serve for dinner or what appetizers to create, but one thing that I know I can serve that everyone will love is a good cheeseboard paired with a great wine! This holiday season I decided to try out a new wine. 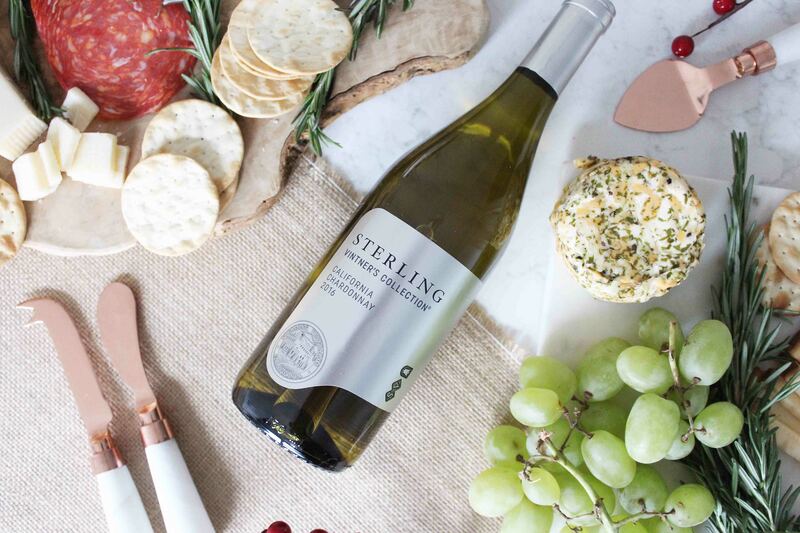 I LOVE finding new wines to sample, and the latest is brand I’ve tried is Sterling Vintner’s Collection wine. The Chardonnay stole my heart not only because of the chic packaging, but the taste. I love white wine, so I have to admit I gravitate to serving it as well. I do serve reds, but normally with dinner or with a heavy appetizer. 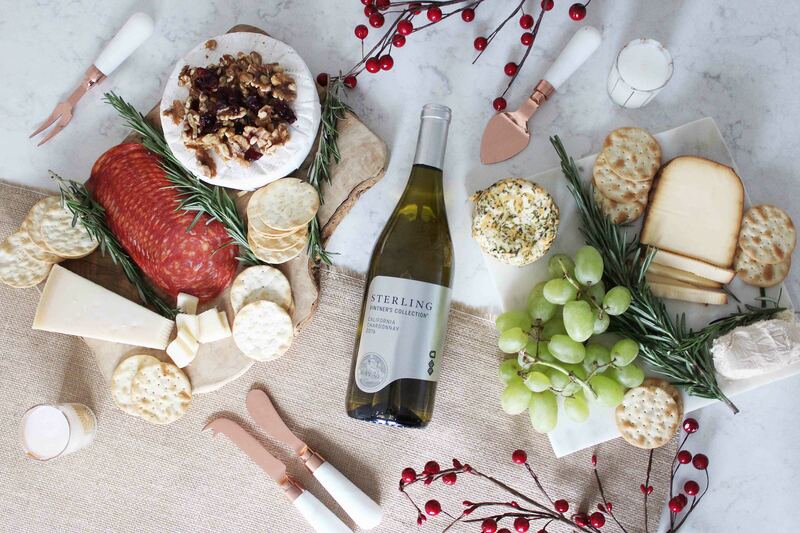 Not only is this wine a pretty gifting option (hello hostess gift! ), but it just makes my cheeseboard look that much more stylish when I have them beside each other. 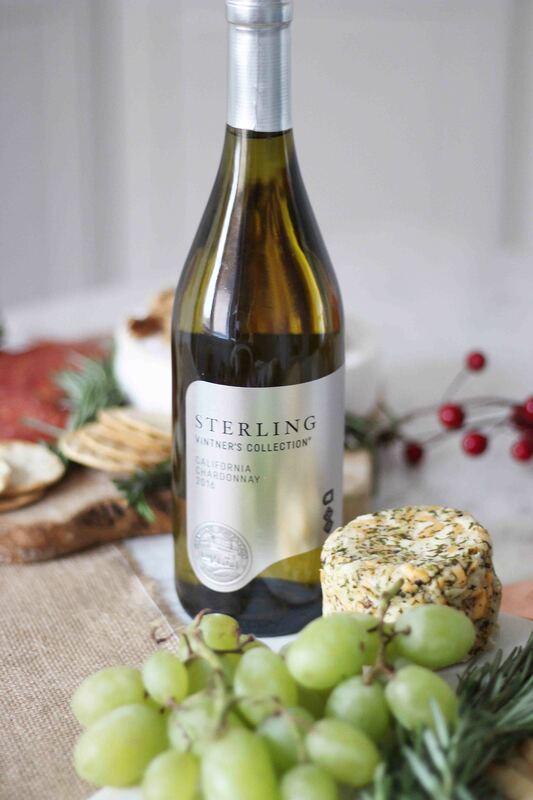 Let’s start with hosting a gathering – now that I have my wine covered, creating the perfect cheeseboard to go with it is the next step! 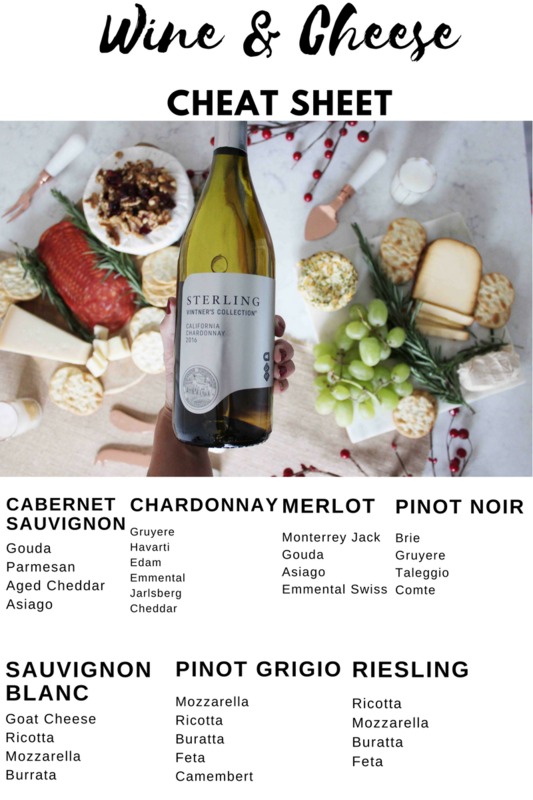 When choosing cheeses I keep a handy list of what is best to serve with each type of wine. Here is my cheat sheet for you! I think the most important part of any cheeseboard is what you use to style it with! I love adding more food in as the décor to my board. I always add rosemary as a garnish not only because of the fresh smell, but the look. I tend to add other things like dried nuts and berries for a festive feel, and then grapes to offset the cheese, and also because it just looks so pretty! On this board I included a sharp parmigiana cheese, along with a smoky gouda, goat cheese, a cheddar cheeseball, and a Brie that I covered with walnuts and dried cranberries. 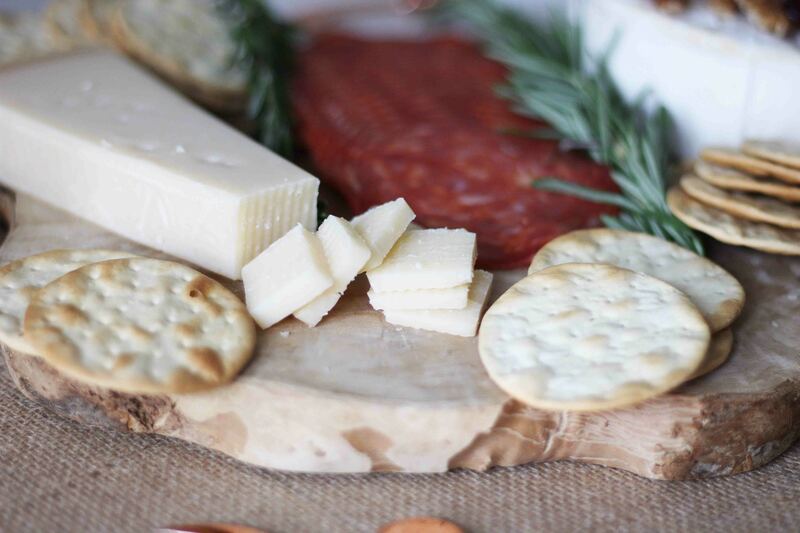 Again, to fill in the spaces and to pair with the cheese and wine I add in crackers and voila – the perfect cheeseboard for the holidays to pair with a great wine! 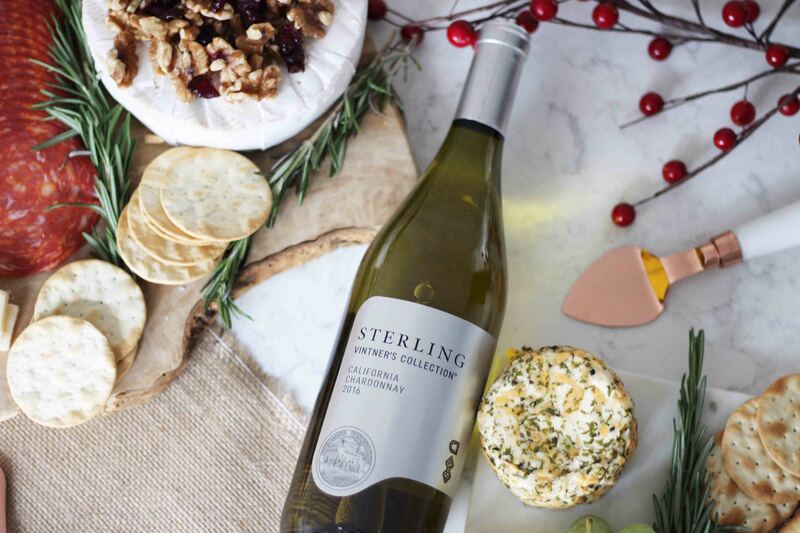 If you purchase a bottle of Sterling Vintner’s Collection wine you will receive a limited edition Silver Holiday Wine Bag (in select markets only) to help out with your holiday gift giving! One of my favourite gifts to receive is a great bottle of wine! I love getting little hostess gifts that I can savor after everyone goes home, or that I can serve right away and enjoy with my guests. 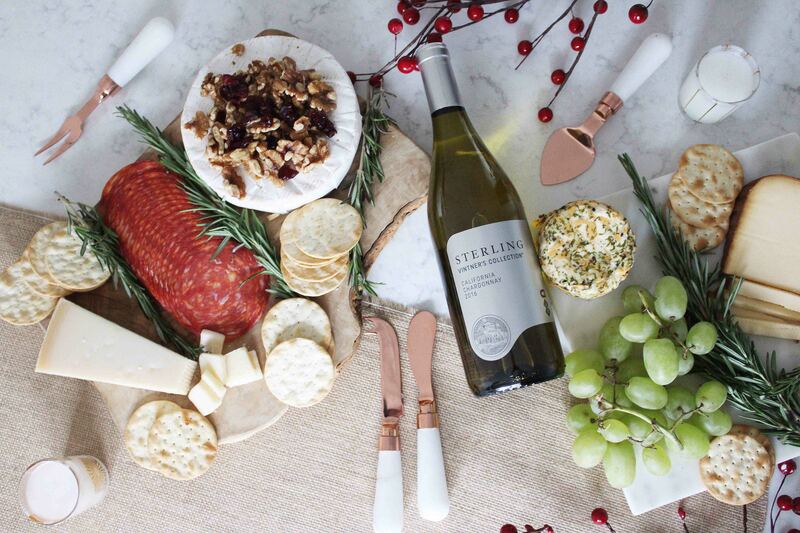 Sterling Vintner’s Collection wines are perfect for this! 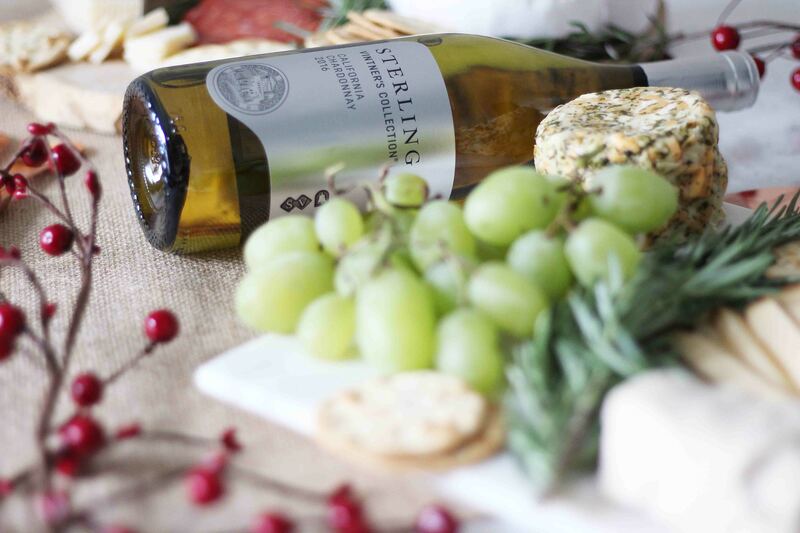 For more information on what Sterling Vintner’s Collection has to offer, visit their website here. 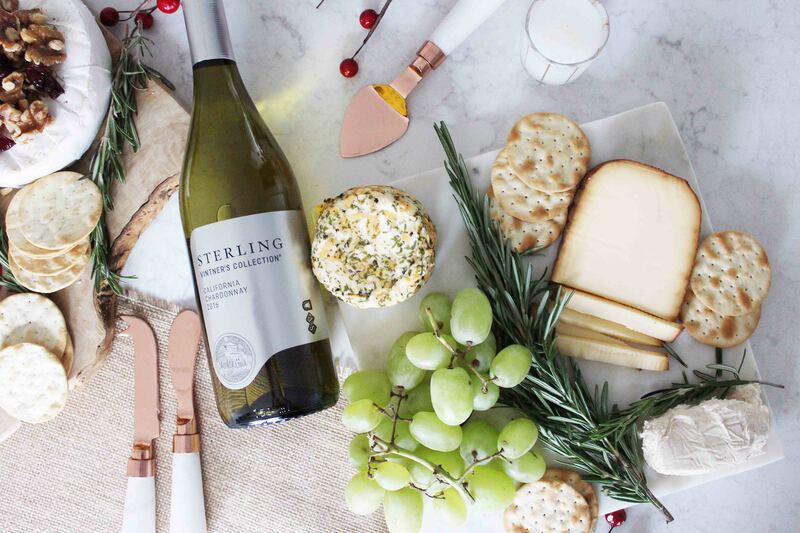 Also, for another source of holiday planning ideas you can visit the social hub linked here – there are so many fun ideas to help elevate your party! Previous Post Holiday Gift Guide for Kids Giveaway! Next Post Making your Holiday Shopping Easier – Introducing Your STC Style Angel!